Johan (Joop) Varekamp, the Harold T. Stearns Professor of Earth Science, presented three papers during the Commission on Volcanic Lakes (CVL) program held March 18-20 in Taupo, New Zealand. 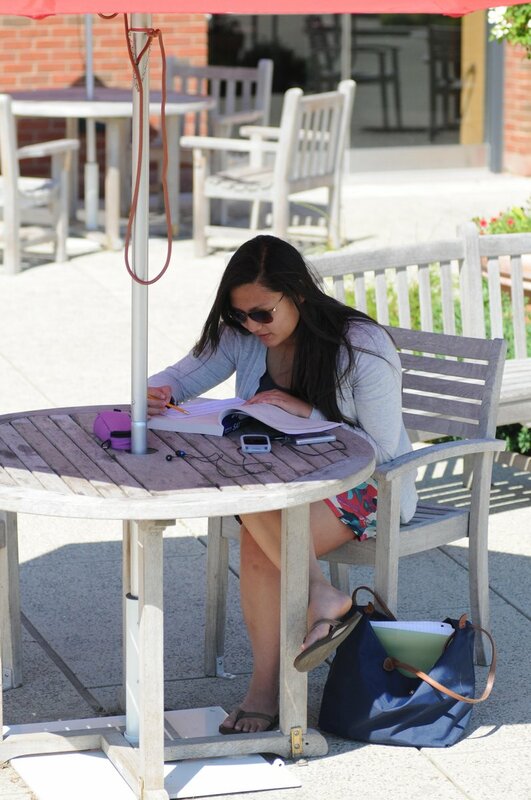 The papers were coauthored by Wesleyan students, graduate students, recent alumni, and faculty. The CVL is a scientific, nonprofit organization of the International Association of Volcanology and Chemistry of the Earth’s Interior (IAVCEI), connecting researchers that seek to understand how volcanic lakes relate to volcanic activity and their hazards. 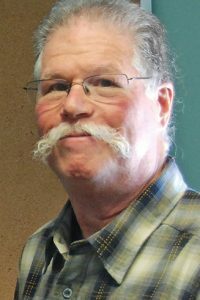 Varekamp, who also is the Smith Curator of Mineralogy and Petrology of the Joe Webb Peoples Museum of Natural History and professor of earth and environmental studies, is a former leader of the CVL organization. In addition to delivering a keynote address, Varekamp was named the recipient of the 2019 IAVCEI Kusakabe Award. A new species of fish discovered in Brazil was recently named in honor of Wesleyan Professor Barry Chernoff. Scientists encountered the Bryconops chernoffi in Rio Ipixuna—a small tributary of the Rio Maicuru, which feeds into the lower Amazon River in Pará, Brazil. Samples of the fish were collected by researchers on four trips in 2014–15, and in March 2019, Zootaxa released an article describing the new species. Chernoff, the Robert Schumann Professor of Environmental Studies, focuses his research on freshwater fishes in North America and the Neotropical region, primarily those in South America in the Amazon. He’s also professor of earth and environmental sciences; professor of biology; chair, Environmental Studies Program; and director of the College of the Environment. Chernoff has published 89 peer-reviewed scientific works, including six books and edited volumes. He has led international teams on expeditions designed to conserve large watersheds of the world, having made more than 34 expeditions in 13 countries. 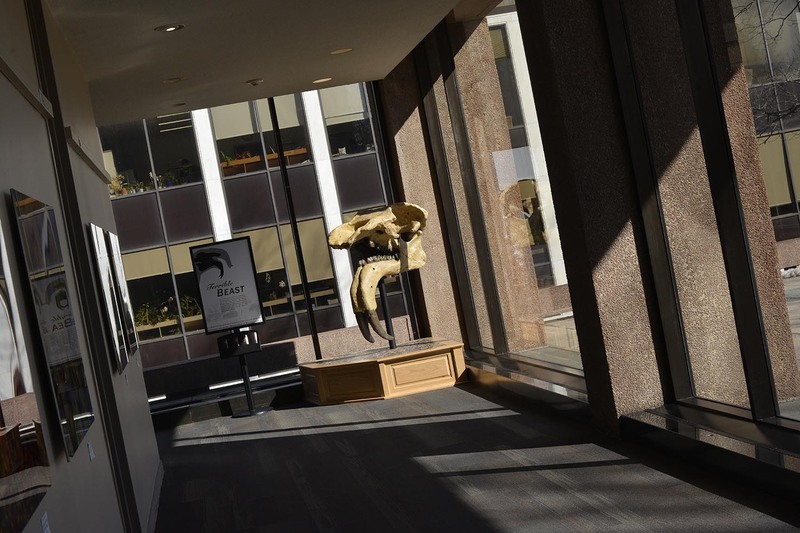 Chernoff is the third Wesleyan faculty, in recent years, to have a species named in his or her honor. Two species of benthic foraminifera are named after Ellen Thomas, the Harold T. Stearns Professor of Integrative Sciences, research professor, earth and environmental sciences; the Smith Curator of Paleontology of the Joe Webb Peoples Museum of Natural History. O’Connell’s article is accompanied by a graphic featuring the International Ocean Discovery Program (IODP) ships (left to right): the Chikyu, a riser-equipped platform coring in the western Pacific; the JOIDES Resolution, which recovers cores throughout the ocean; and a Mission Specific Platform (MSP) drilling vessel. The dotted lines show representative depth. Suzanne O’Connell, professor of earth and environmental sciences, is the author of a cover article titled “Holes in the Bottom of the Sea: History, Revolutions, and Future Opportunities,” published by the Geological Society of America (GSA) Today in January 2019. 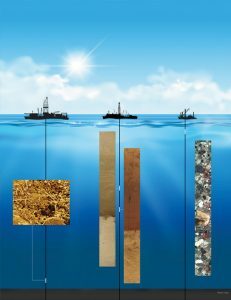 Scientific ocean drilling (SOD) contributions include geophysical surveys, core samples, borehole well logs, and sub-seafloor observatories. After more than half a century, involving thousands of scientists from around the world, SOD has been instrumental in developing three geoscience revolutions: (1) plate tectonics, (2) paleoceanography, and (3) the deep marine biosphere. In this paper, O’Connell explains that without SOD, it is unlikely that our current understanding of Earth processes could have developed. SOD has also been a leader in international collaborations and the open sharing of samples, data, and information. Almost 2.5 million samples have been taken from over 360 km of core located in three repositories. Today about half the members of scientific teams, including co-chief scientists, are women. This program is needed in the future for geoscientists to continue exploring our planet to understand how it functions and to create predictive models, she explains. At Wesleyan, Professor O’Connell teaches geosciences with a strong emphasis on hands-on research with undergraduates. Her current research focuses on Antarctic climate change using sediment cores from the Weddell Sea, Ocean Drilling Program (ODP) Leg 113. She has authored or coauthored more than 60 refereed publications. Read more about O’Connell’s recent Weddell Sea core research in this College of the Environment blog post. She is a member of the American Geophysical Union, American Association for the Advancement of Science, Association for Women Geoscientists, the Union of Concerned Scientists and a Fellow of the Geological Society of America. 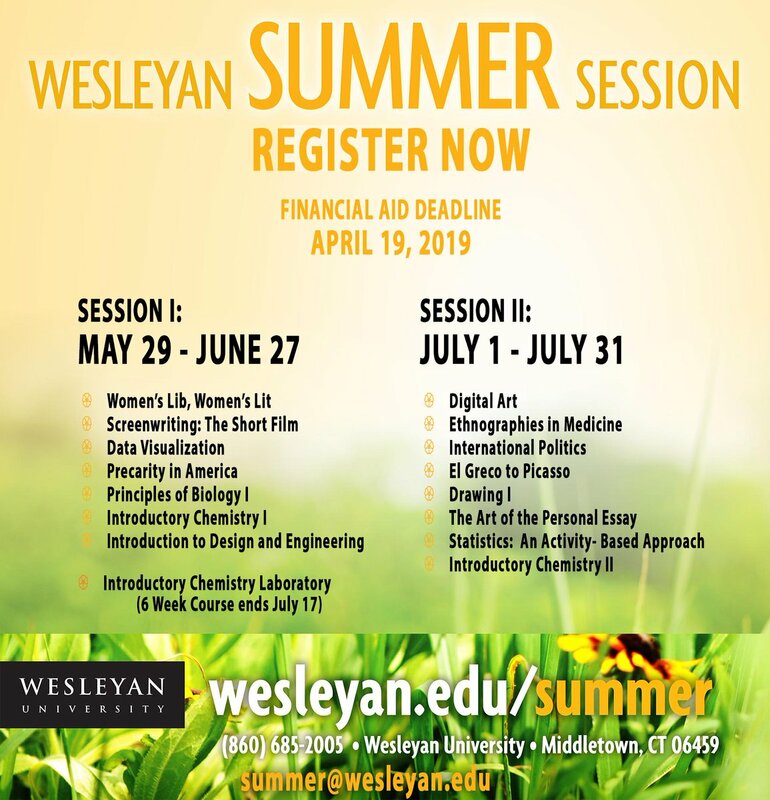 She is also on the governing council of the Geological Society of America and a recipient of the Association for Women Geoscientists Outstanding Educator Award, Wesleyan’s Edgar Beckham Helping Hand Award, and the McConaughy Writing Award. 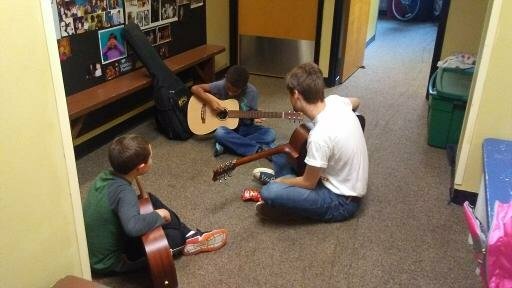 Musical mentor Henry Hodder ’20 works with two of his guitar students at Oddfellows Playhouse in Middletown. Hodder’s group, Cardinal Kids, is one of nine student ventures to receive grants from the JCPP Student Innovation Fund. 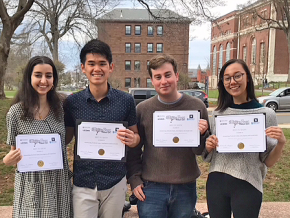 This spring, nine student ventures received grants from the Jewett Center for Community Partnerships (JCCP) Student Innovation Fund. 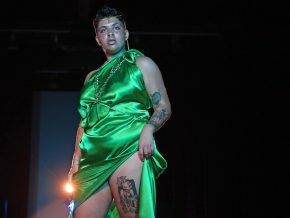 These student efforts are representative of the JCCP’s commitment to cocreate mutually respectful partnerships in pursuit of a just, equitable, and sustainable future for communities beyond the campus—nearby and around the world. Collaboration between student groups, faculty/staff, and/or community partners. Investigation of the impact of our civic engagement efforts. Sharing of ideas and learnings in civic engagement on campus and beyond. Due to the structural forms of racism that economically oppress people of color, volunteer opportunities are inherently restrictive. ASHA’s innovation seeks to investigate this barrier to the involvement of students of color in volunteer opportunities, as it is essential to the project of cultural competency for an educational organization to include members that represent the identities of many different students. The Student Innovation Fund will support their effort to make ASHA an inclusive and equitable organization. 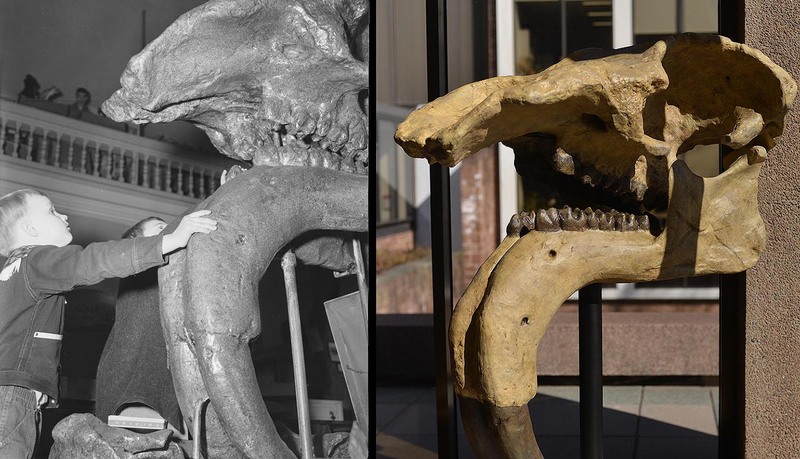 Exley Science Center is home to its second prehistoric specimen—a massive land animal known as a Deinotherium giganteum—or “terrible beast.” The skull cast is displayed in the hallway between Exley Science Center and the passway to Shanklin Laboratory and is part of the Joe Webb Peoples Museum of Natural History. 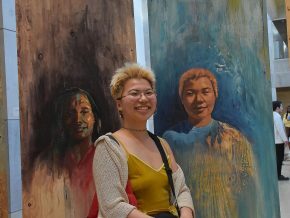 The exhibit was installed on Feb. 26. 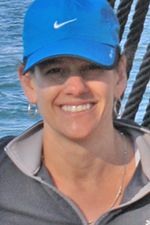 Helen Poulos, adjunct assistant professor of environmental studies, is the coauthor of two published papers in February. “Response of Arizona cypress (Hesperocyparis arizonica) to the Horseshoe Two Megafire in a south-eastern Arizona Sky Island mountain range,” is published in the February issue of International Journal of Wildland Fire (Issue 28, pages 62-69). It is coauthored by Andrew Barton, professor of biology at the University of Maine at Farmington. This study documents the effects of the 2011 Horseshoe Two Fire in the Chiricahua Mountains of southeastern Arizona on Arizona Cypress. Two Wesleyan students, Hunter Vannier ’20 and Michael Freiburger ’21 assisted with the fieldwork in 2018 as part of their College of the Environment summer fellowships. The group documented the effects of a fire-sensitive tree species that survives wildfire through fire-induced seed release (serotiny). On sites subject to severe fire, most mature cypresses were killed, the canopy opened, and seedlings established abundantly. Their results firmly establish Arizona cypress as a fire-sensitive but fire-embracing species that depends on stand-replacing fire (the loss of overstory trees) for regeneration. “A drier future with more frequent wildfires could pose serious threats to all New World cypresses if these species do not have enough time between fire events to reach sexual maturity,” Poulos explained. The second paper, titled “Invasive species and carbon flux: the case of invasive beavers (Castor canadensis) in riparian Nothofagus forests of Tierra del Fuego, Chile” was published in the February issue of Climatic Change. It is coauthored by biology major Chloe Papier ’17 and Alejandro Kusch of the Wildlife Conservation Society in Punta Arenas, Chile. For this study, Papier completed a month of fieldwork in Patagonia on a College of the Environment winter fellowship. The researchers documented the effects of invasive North American beavers (Castor canadensis) on carbon sequestration of riparian Nothofagus forests in Tierra del Fuego, Chile. Their results suggest that beaver invasion can result in major differences between aboveground carbon in invaded versus un-invaded forest stands. Gary Yohe, professor of economics; the Huffington Foundation Professor of Economics and Environmental Studies; and professor, environmental studies; serves as the coeditor in chief of the journal. Pictured in the back row, from left: Sammy Osmond ’22; Lilley Gallagher ’22; David Malone, HVAC/utility mechanic; Tom Macri, HVAC shop foreperson; Gaelin Kingston ’22; Joseph Dorrer, energy manager. Pictured in the middle row, from left: Dean Canalia, plumbing shop foreperson; Camille Britton ’20; Tamara Rivera ’21; and Mia McKinney ’22. Pictured in the front row, from left: Gretchen LaMotte ’18 and Allison Orr, Distinguished Fellow in the College of the Environment. Missing from photo are material handlers Mario Torres and Kristopher Patterson. 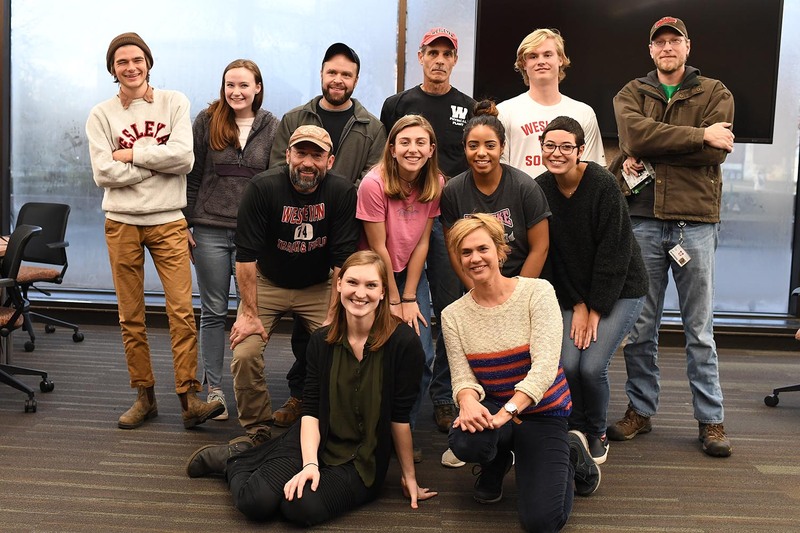 Six students in the Introduction to Environmental Studies course traded their notebooks, backpacks, and pens for wrenches, electronic temperature control meters, and even plungers as part of a special project involving staff from Wesleyan’s Physical Plant. 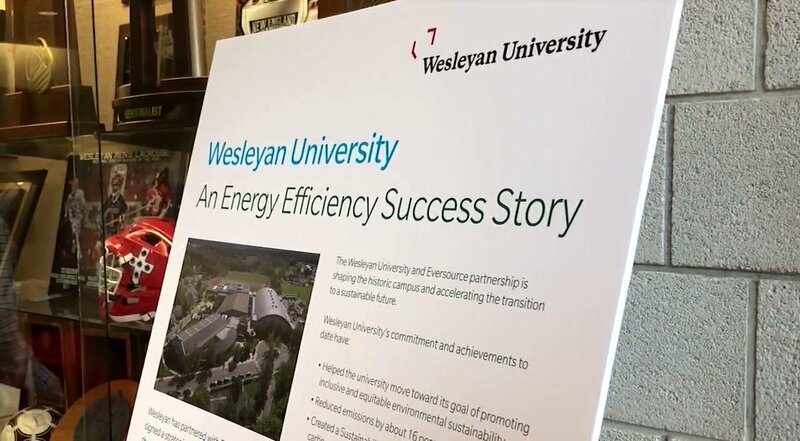 Throughout the fall semester, the students partnered up with an electrician, a plumber, material handlers, temperature control mechanics, and others to learn about trades and to form friendships with the staff who keep Wesleyan running behind the scenes. 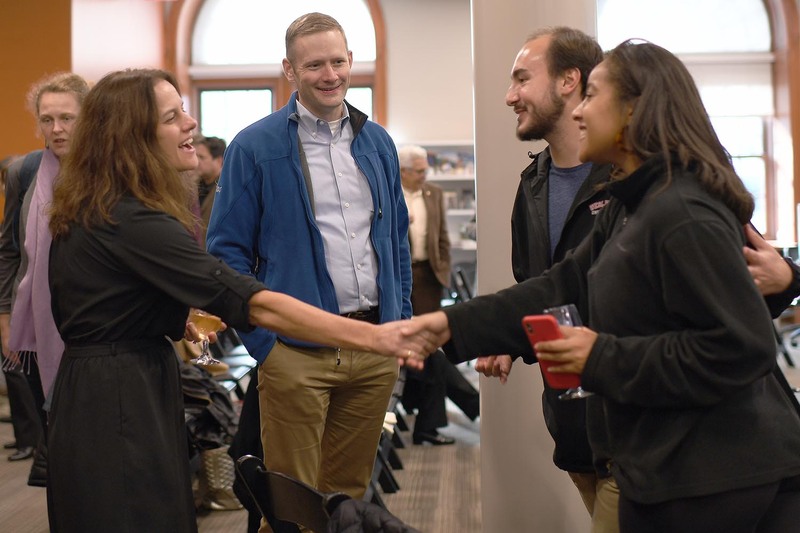 On Nov. 29 the students presented their experiences—through talks, performances, music, and graphics—to fellow classmates and Physical Plant staff. 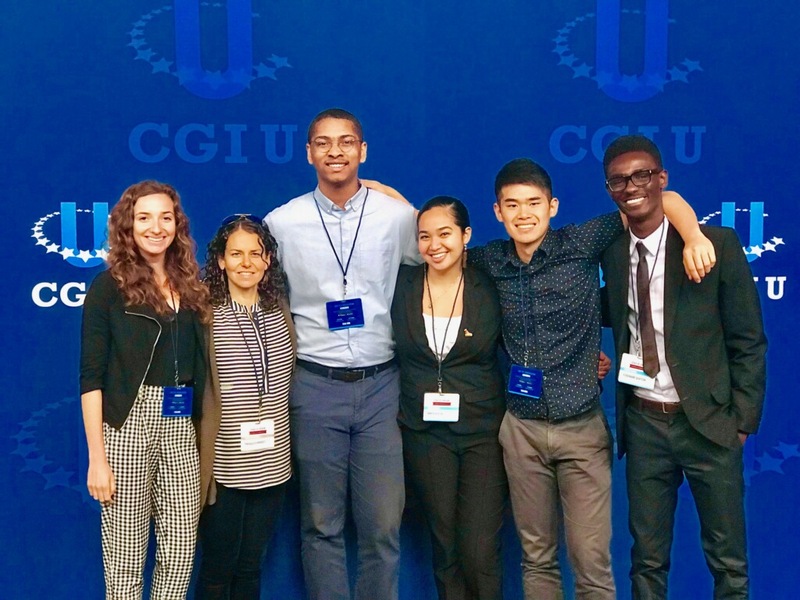 Katie Shewfelt ’20, Makaela Kingsley ’98, Anthony Price ’20, Momi Afelin ’19, Frederick Corpuz ’20, and Ferdinand Quayson ’20 attended the 11th annual Clinton Global Initiative University (CGI U) conference, held Oct. 19-21 in Chicago, Ill. While 94 percent of children from wealthy Filipino households attend high school, only 69 percent from poor households continue to get a high school education after graduating from grade school (UNESCO). Through a nonprofit venture called SALIN Ed., Frederick Corpuz ’20 is working to create an inexpensive, sustainable alternative to classroom learning that enables 10- to 12-year-olds in the Philippines to become independent, successful learners through an online program. To advance his social entrepreneurial skills and better his venture, Corpuz applied to participate in the 11th annual Clinton Global Initiative University (CGI U) conference, held Oct. 19–21 in Chicago, Ill.
On Nov. 14, Wesleyan celebrated geography, mapping, and spatial data analysis at the annual GIS Day. GIS Day provides an international forum for users of geographic information systems (GIS) technology to demonstrate real-world applications that are making a difference in our society. The first formal GIS Day took place in 1999. During GIS Day, the Wesleyan community was invited to participate in multiple activities, including a hands-on humanitarian map-a-thon, a seminar on digital storytelling with maps led by Sam Raby ’17, and games involving “Fun with GIS.” The events were led by students taking the E&ES 281: GIS Service Learning course and Kim Diver, associate professor of the practice in earth and environmental sciences. Diver’s research focuses on island biogeography, with particular interests in water level changes, isolation metrics, forest dynamics, and applications of GIS to investigate spatiotemporal distributions of insular plant species. 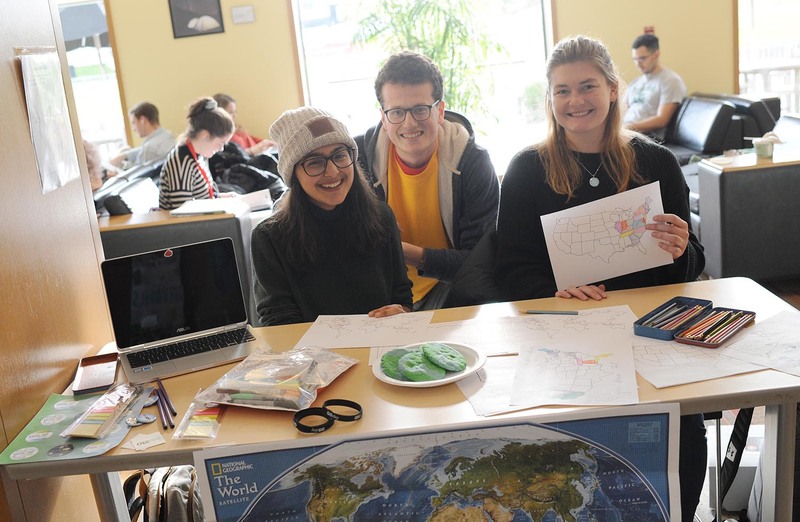 Wesleyan joined hundreds of organizations and institutions from North America, South America, Europe, Africa, Asia, and Australia in hosting GIS Day gatherings. For more information, visit Wes GIS. From left, Jesse Simmons ’21, Luke Green ’20, and Sarah Goss ’19. 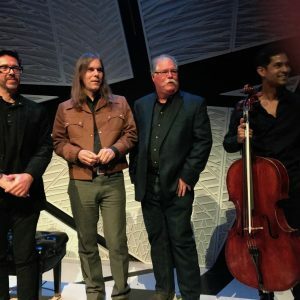 Barry Chernoff, second from right, is pictured on stage with, from left, composer Felipe Perez Santiago, composer Graham Reynolds, and cellist Jeffrey Zeigler. Barry Chernoff, director of the College of the Environment, was one of eight scientists recently honored with a new musical composition based upon his research—part of a concert and album titled “The Sound of Science, performed in New York City on Nov. 10. The project aims to build “bridges between the musical and scientific worlds, celebrating their shared culture of inquiry,” according to the website. The pieces were written by seven celebrated composers for amplified cello and electronics, and were all recorded and performed by world-renowned cellist Jeffrey Zeigler, longtime member of Kronos Quartet and several other groups. 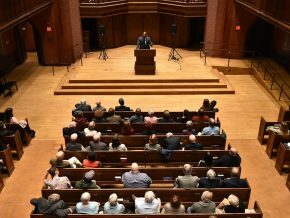 The Grammy Award–winning quartet has performed at Wesleyan’s Center for the Arts, most recently in April 2018. Each composer was paired with a scientist of his or her choosing and tasked with creating music inspired by and reflective of the scientist’s life and practice. Chernoff’s piece, titled, “Pastaza,” was composed by Graham Reynolds, an Austin-based composer-bandleader-improviser who creates, performs, and records music for film, theater, dance, rock clubs, and concert halls. “Pastaza” and the other works can be played online here. Chernoff is also the Robert Schumann Professor of Environmental Studies, professor of biology, professor of earth and environmental sciences, and professor and chair of environmental studies. Helen Poulos, adjunct assistant professor of environmental studies, is the coauthor of two papers published Oct. 22 in the journals Fire and Philosophical Transactions of the Royal Society B, respectively. Poulos lead-authored a paper on fire and plant evolutionary ecology titled, “Do Mixed Fire Regimes Shape Plant Flammability and Post-Fire Recovery Strategies?” Contrary to a new model assuming that plant species have evolved three divergent flammability strategies, Poulos and her fellow researchers present three case studies that indicate plant species have evolved “bet-hedging strategies” that mix a variety of flammability and post-fire recovery strategies. 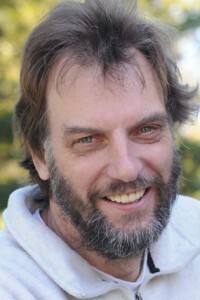 Poulos also co-authored a paper led by ecologist Christopher Johnson of the University of Tasmania titled, “Can trophic rewilding reduce the impact of fire in a more flammable world?” This paper is about managing fire risk by reintroducing large mammals and has received a lot of buzz, including a nod in Science. “Working with a group of international scientists has really helped me in terms of thinking about global issues associated with fire, and also how humans can work together to create more sustainable landscapes,” Poulos said. 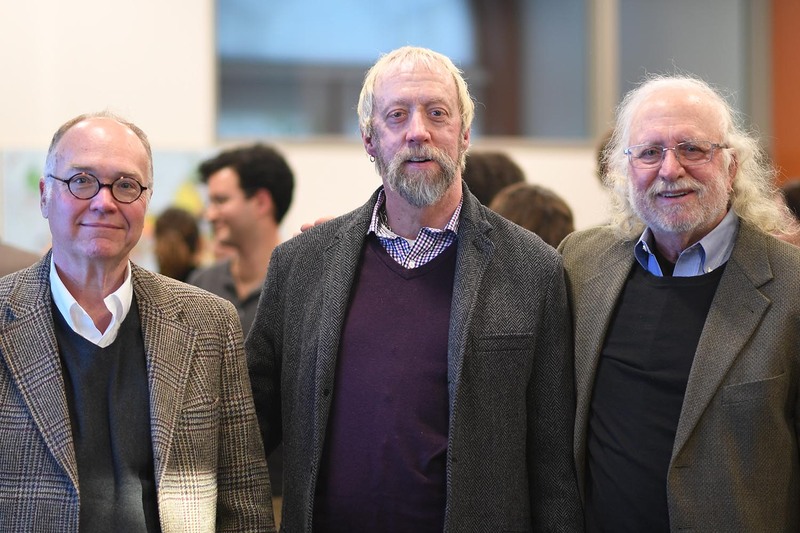 On Oct. 26, members of the campus community celebrated the Robert F. Schumann Institute of the College of the Environment (COE) with a reception, remarks, and keynote speakers. 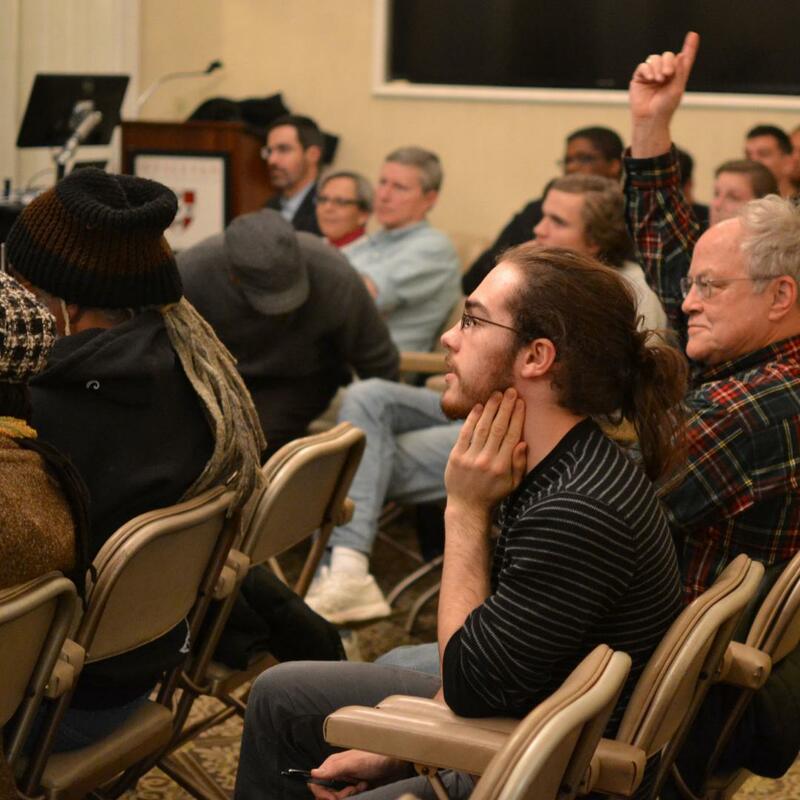 The event was held at the Fries Center for Global Studies in Fisk Hall. The Robert F. Schumann Institute was established in July 2017 with a $2.5M gift from The Robert F. Schumann [’44] Foundation. Pictured, from left is Timothy Crowley, a foundation trustee, and Robert F. Schumann’s sons and foundation advisors, David and Ford Schumann.